I love watching a good movie (or two) on the weekends, and the weekend gone was no different. You might have read last week’s Weekend Notes where I shared that Saturday celebrated the Carrot Cake Day and Sunday the Sweater Day. So I treated us to a delicious Carrot Cake from M&S, wore my warm & cosy jumper and put on ‘Leap Year’. Apart from the movie itself being adorably super cute and me wanting to visit Ireland and find a cute Irish guy, what deeply resonated with me was the slow lifestyle. When we moved to London back in 2008 (read my story here if you’d like) I was very much a City Girl and had a vision of moving to Central London when Khushi got older. That of course changed, the older I got I wanted to move far away from the hustle and bustle of the city (at that time I lived in the outskirts of London). I started dreaming of moving to the countryside and this happened in January 2014; we moved to Hertfordshire. 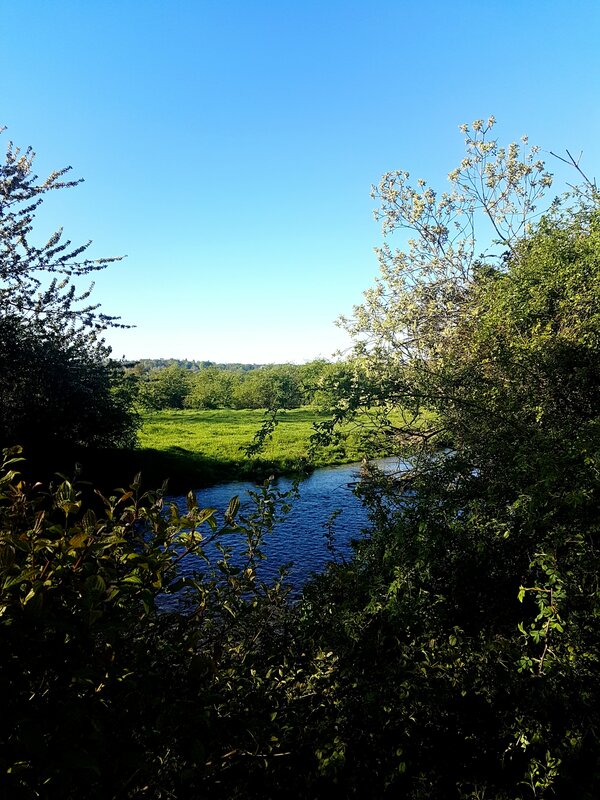 We are surrounded by a river, a canal, woods, nature walks and a field – it’s absolutely stunning! Seeing the beauty of nature and the seasons changing has been life changing. It has made me feel more grounded, content, happy and rested – on a daily basis. 2018 for me was about letting go of old patterns, habits, things, thoughts and more. I spent time reflecting and reviewing on a weekly basis, I read books, listened to podcasts, enrolled on to various courses, watched personal development videos on YouTube, I de-cuttered my home, my digital space, my mind and more – this had a profound effect on my life. I got closer to how I wanted to live my life, to whom I wanted to become, to which things I wanted to be surrounded by and most importantly; it enabled me to have clarity to where I wanted to put my energy into this year. This being said, Khushi and I have outgrown our home and we are ready to move even closer to nature – this time we want to be near the seaside – the beach.